Antonio Conte has reached 100 games in charge of Chelsea, celebrating the landmark with a 2-1 Premier League win at Burnley. Conte's side recorded back-to-back away league wins thanks to a goal and an assist from wing-back Victor Moses at Turf Moor on Thursday. 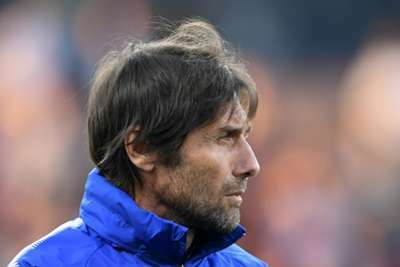 Speculation about Conte's long-term Chelsea future has built all season despite the Italian delivering the Premier League title in his first season at Stamford Bridge. But Opta numbers indicate only two-time Blues coach Jose Mourinho has a better win ratio (72 per cent) than Conte's 65 per cent record after 100 matches in charge. Conte's 101st game in charge of Chelsea will come at Wembley on Sunday with his side taking on Southampton in the semi-final of the FA Cup.